Café Emporos, I must admit I have a very strong liking for this wonderful invention. It is very simple to use, earth friendly and easy to take with you. 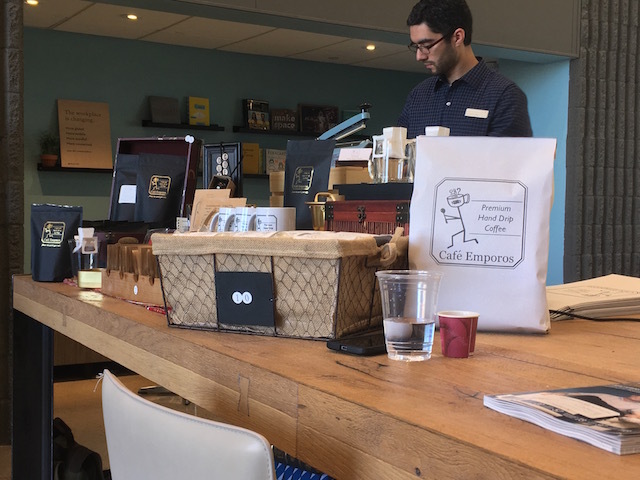 Café Emporos has a great offering of fine coffee in an earth friendly one serving pour over, all in one envelope. I was introduced to this great invention at the Coffee Treaty held in Phoenix. I was quite taken by it and I am still am. Café Emporos is the forward vision of Ruben Tujillo, he was an English teacher in South Korea. He saw how taken the Koreans were about coffee. 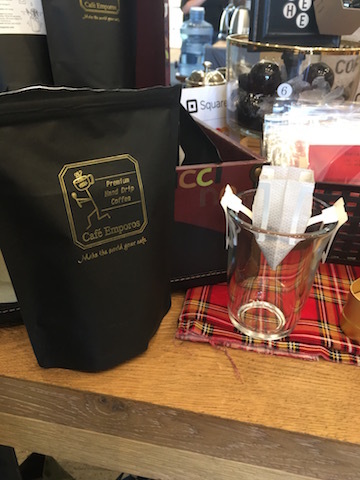 Ruben saw the need and the desire of this portable pour over in a packet. The simplicity of it is just perfect. It will fit in your suite case, back pack, office desk, glove box of your car or truck, anywhere there is a nook and cranny, this item will fit. When you are ready to have a cup of some great coffee, boil up some hot water, or pour it out of a coffee brewer at work that gives you hot water for tea. Open up your packet, tear off the top of the satchel, spread out the legs that will fit around your cup and gently pour the hot water in and enjoy your coffee a short time later. You will be the envy of any coffee fan at the office or in the great outdoors. Café Emporos has a wonderful web site where you can get this item. Order in bulk, for your home or office with coffee in the satchels. But are you a do it yourself type of person? Café Emporos can help you out there as well. They have a deal where you can order 50 empty satchels and put your own coffee in and have total bragging rights. I love this concept here is the link. 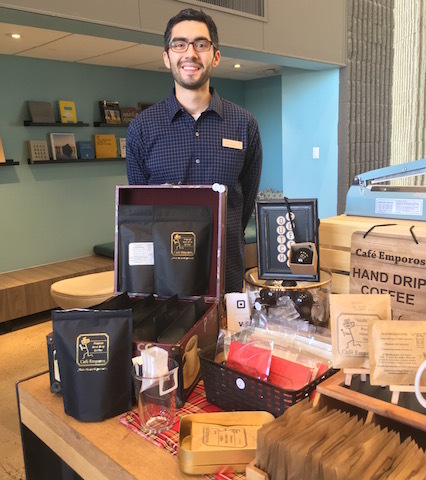 Café Emporos is a great idea, there is no k-cups that are filling the landfill, it is a single serving. Just serve yourself, or do multiple cups to impress your friends and give them something to talk about. Most of all it is straight forward easy to use and fun. Café Emporos has my endorsement.